i can't believe that halloween is tomorrow! before work on sunday morning, ryan and i got our pumpkins ready for halloween. 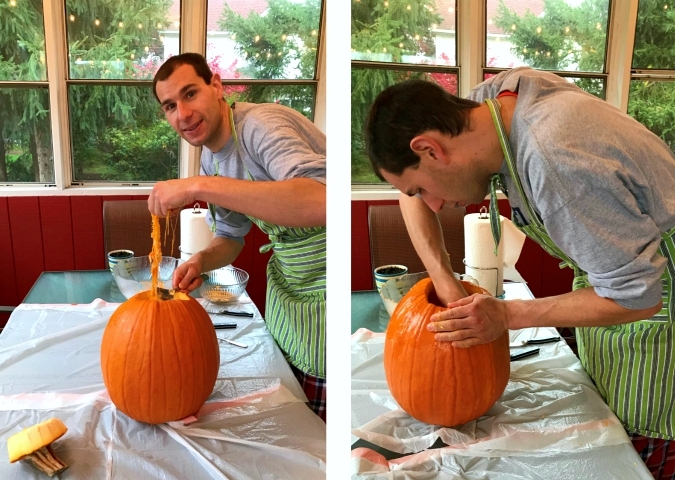 we carved our big pumpkin with a goofy face and used some puffy paint to decorate leko's small pumpkin. 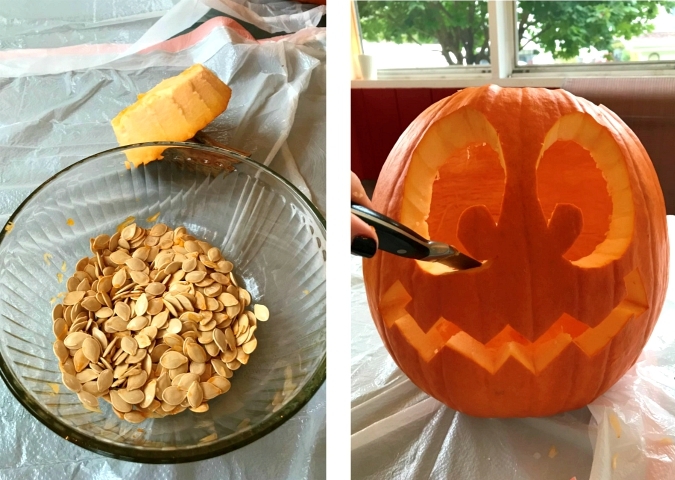 we roasted the pumpkin seeds and have been snacking on them too! i'm looking forward to seeing our pumpkin lit up tomorrow night for trick-or-treaters! Very nice! Looks like fund and just in time for Halloween. I like your jack-o-lantern with the very large eyes! I'm going to carve ours today; it is the little one that grew on its own in our little garden.